• Why Vote for Richard Valdez? • Richard Valdez Brings New Business to Hollywood. 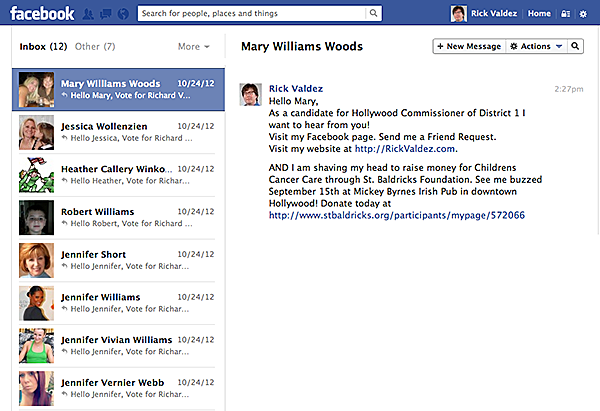 I ran for the office of City Commissioner of Hollywood, FL. 1. 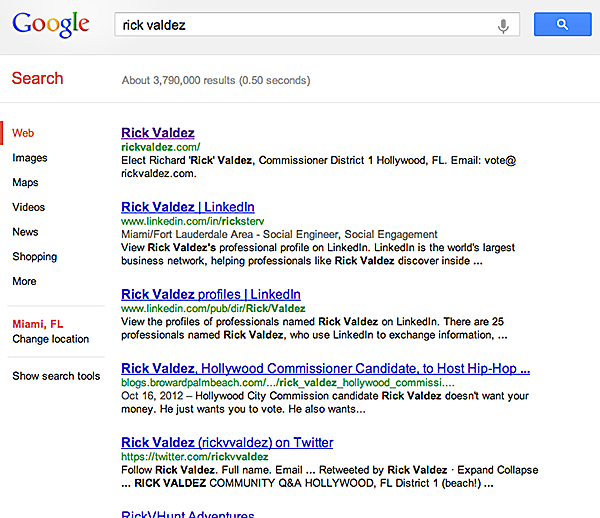 Google was my personal business card: 7 out of 10 links on the front page for my name, Rick Valdez. 2. 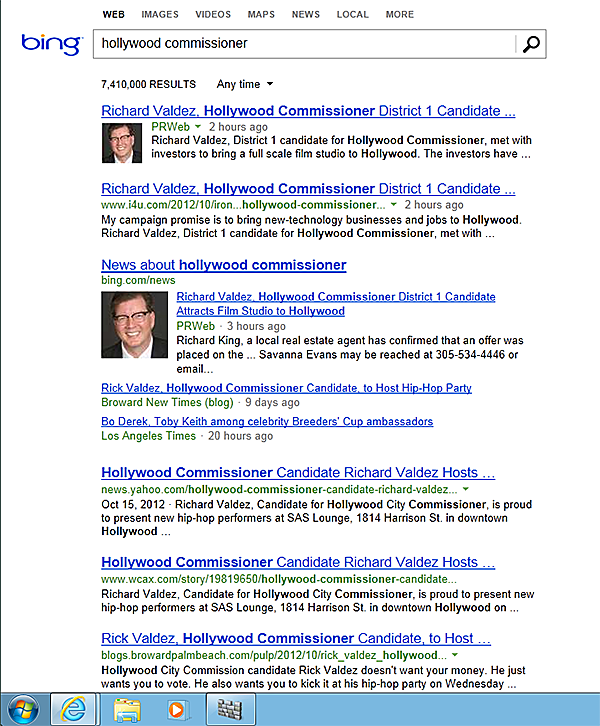 Bing declared there was only one "Hollywood Commissioner" from coast to coast. and sent constituents a personalized message.